It’s important to check the variety of tattoo styles, as you might be drawn a new and different style than you originally desired. It is extremely important to check your tattoo artist’s portfolio beforehand, so that it’d match your expectations and the style you desire; Some artists focus on very specific styles and that’s what they’re known for, others are known for their massive-sized tattoos. You can, but probably shouldn’t force your tattoo style on the tattooer, if it doesn’t fit his portfolio and specialty as that’s 8/10 times going to lead to your disappointment from your permanently inked tattoo. 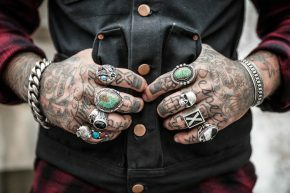 Do know that it is now possible to remove tattoos with treatments, fully or partly, though the more permanent solutions hurts even more than the original tattooing experience. New & Old School (Traditional) – If you’d like to get a better feel as to Old School (aka Traditional) tattoos, you may want to visit this link, or look at these old school tattoo examples. Black & Grey, Blackwork – This extremely popular style is its’ name suggests – a black and grey tattoo.